okay, so this is a day late...or two months it really depends on how you wanna look at it. 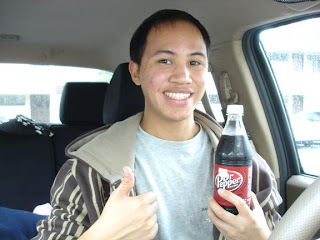 So for those that may not know, Dr. Pepper held a promotion that entitled everyone in America to get free Dr. Pepper! the only catch was, that it required Guns-n-Roses to release their long delayed album 'Chinese Democracy' in that year (2008) sort of as a joke, because Chinese Democracy was delayed for like...800 years. but it turns out that Guns-n-Roses decided to release the album that year! 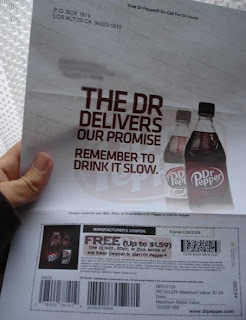 So everyone that got to go on Dr. Peppers website to redeem a voucher for Free Dr. Pepper! 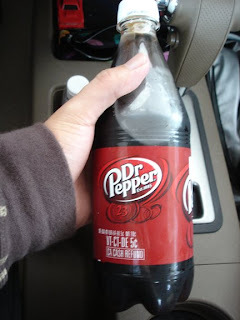 however, it was only open for a short while, and Dr. Pepper was criticized for this. 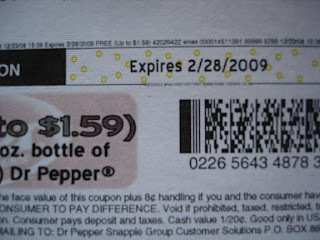 Nonetheless, I managed to score myself a coupon. and what's better than Dr. Pepper? free dr. pepper! all in all, a good way to end feburary (im just glad i made the expiration date)!